Murder with a side of chocolate. 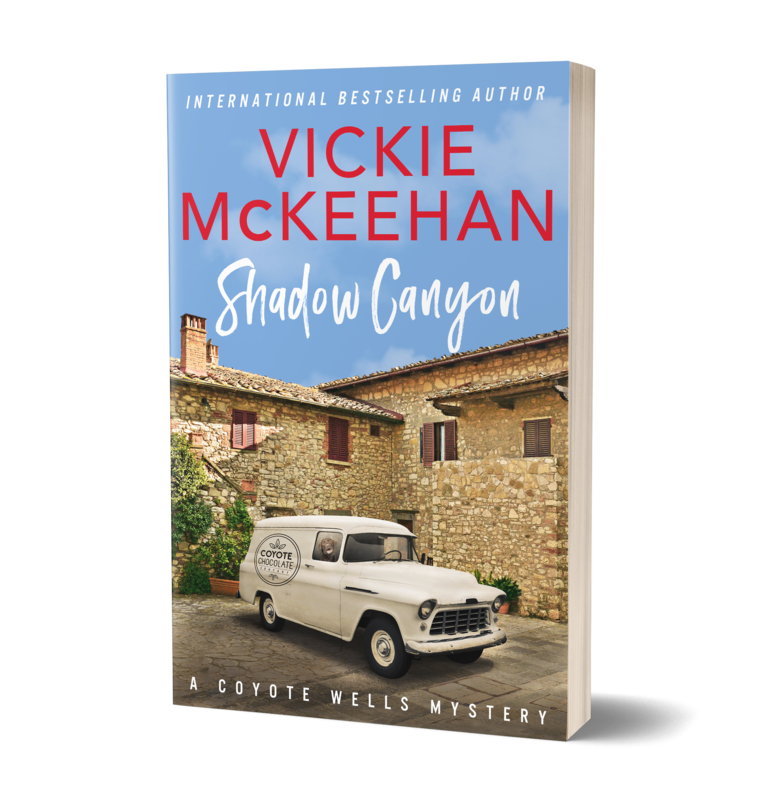 The 2nd book, Shadow Canyon, keeps readers coming back to Coyote Wells. Exhausted after the Sun Bringer Festival, Gemma Channing and her ex, Lando Bonner, are hanging out at the beach, trying to recover from the three-day event when her longtime nemesis is found dead on the dunes. As rumors grow about Mallory’s demise, many in Coyote Wells feel like Gemma is responsible. Determined to find out who did it, Gemma goes into overdrive to find the real killer. With the help of Lando and her friends, they dig deeper into Mallory’s past, hoping to uncover all of her secrets. But they get more than they bargained for when the tables turn. The new theory brings a longtime mystery to the forefront, one that’s been hanging around for three decades…unsolved. What does it mean for the people in Coyote Wells when the secret’s uncovered? And will Gemma be able to figure things out before anyone else dies? This entry was posted in Amazon, Announcements, Beach Read, Books, California, Chocolate, Cover Reveal, Cozy Mystery, Crime, Crime fiction, Entertainment, Fiction, Kindle, Novel, Posts, Promote, Relationships, Romance, Serial Killer, Summer, Vickie McKeehan, Writers and tagged Beach, chocolate, Cozy Mystery, Kindle, Love, New Release, Novel, Romance, Suspense, Vickie McKeehan by vickiemckeehan. Bookmark the permalink.